Faces of Loss, Faces of Hope is all about providing connection and support, and about raising awareness about pregnancy/infant loss in general. The less of a taboo, "hush-hush" subject it becomes, the less women will be forced to suffer in silence. Faces is a grassroots effort; we rely on all of you to help spread the word and fulfill our mission! Distribute informational Faces postcards to your local hospital(s) and OB clinic(s). These are the places where most women first receive the awful news that they have (or are going to) lose their baby. It would be wonderful to send them home with information about this place, so they can start receiving support, and know they are not alone, right away. Click here to request professionally printed postcards. Submit a story idea to your local news or newspaper. Most news stations and newspaper sites have a "submit a story idea" section on their website. This is a great way to get the message out to a large audience. Make sure to let us know if you have any luck! Click here to download the story submission template. Purchase official Faces merchandise. Spread awareness wherever you go! Most items can even be personalized with your child(ren)'s name(s). Click here to go shopping at our Merch Store. Join a local Face2Face Friendship Group, or start one in your area. These are not 'support groups' but rather informal gatherings of friends who share a deep common bond. Click here for more information or to find a group in your area. 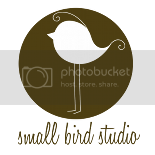 Grab our button for your website or blog. 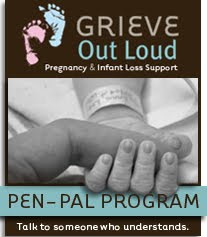 Post the link to our site on any pregnancy/loss support forums you might belong to. Share the link to our site on facebook. Click here for instructions on how to share your Faces story with your facebook friends. Please go to www.iamtheface.org to join the movement!